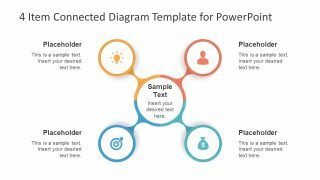 The 4 Item Connected Diagram Template for PowerPoint is a multi-purpose business presentation layout. It is a circular spoke diagram template with high-quality vector graphics. 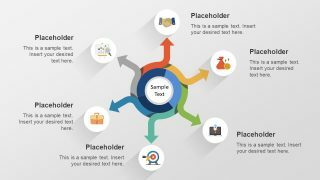 These graphics assist users to visually illustrate their concepts. This 4-items connected diagram is highly suitable to present central idea with multiple subprocesses. 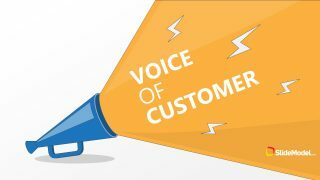 However, it could assist in explaining concepts like business solutions, products, and services. Similarly, in a project proposal presentation, the spoke diagram can demonstrate special features, specifications or benefits of product. 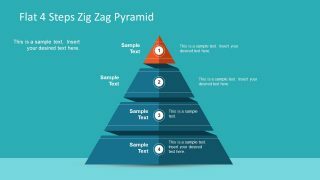 In a way, the 4 items connected diagram presentation can become a program guide for audience. 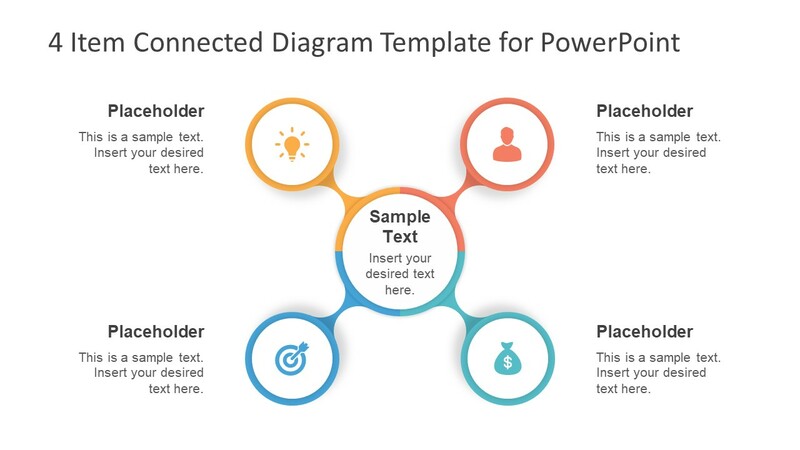 The 4 Item Connected Diagram Template for PowerPoint is a 2-slide infographic presentation design. These infographics include lightbulb, user, money bag, and dartboard which suggest inception of an idea or project forecasting. The two slides are simply background color variations i.e. white and black. This variation enables users to change dark or light background colors on black or white slide. Because users can alter background with fewer modifications like text color. Moreover, replace the infographic clipart icons with relevant shapes and graphics. The quick modifications like shape fill, resizing, or text properties could be done from drawing format. And, additional customizations include change shape style, effects, and color gradients which are also available in drawing format. 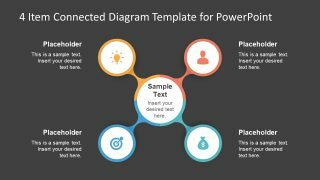 The PowerPoint diagram template of 4 connected spoke segments can benefit the professionals working in various industries. Such as the education sector, medicine, management, marketing, etc. 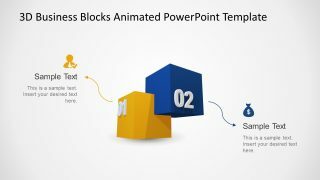 These easy-to-use slides provide attractive built-in graphics which saves time.